The Royal Commission into Institutional Responses to Child Sexual Abuse looks certain to be granted a two-year extension after Prime Minister Tony Abbott backed calls for additional funding, reports The Sydney Morning Herald. The Royal Commission has sought $104 million in order to allow thousands more survivors of abuse to come forward. The request, which would extend the Commission’s deadline until December, 2017, would also fund 30 more public hearings and an extra 3000 private sessions. Mr Abbott gave his strongest signal yesterday that he’ll approve the request within weeks. "I’m very sympathetic to that," he told radio station 774 ABC Melbourne. "I’m confident that we will be able to respond to the Royal Commisioner’s wishes. "We want it to do its job. We’ve supported it every step of the way ... It should finish its job." Mr Abbott said a final decision would be announced after Cabinet meets to discuss the request. 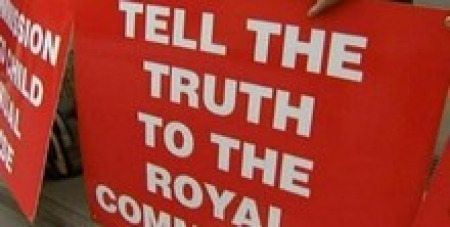 The Royal Commission has so far held 15 public hearings and more than 2000 private sessions.